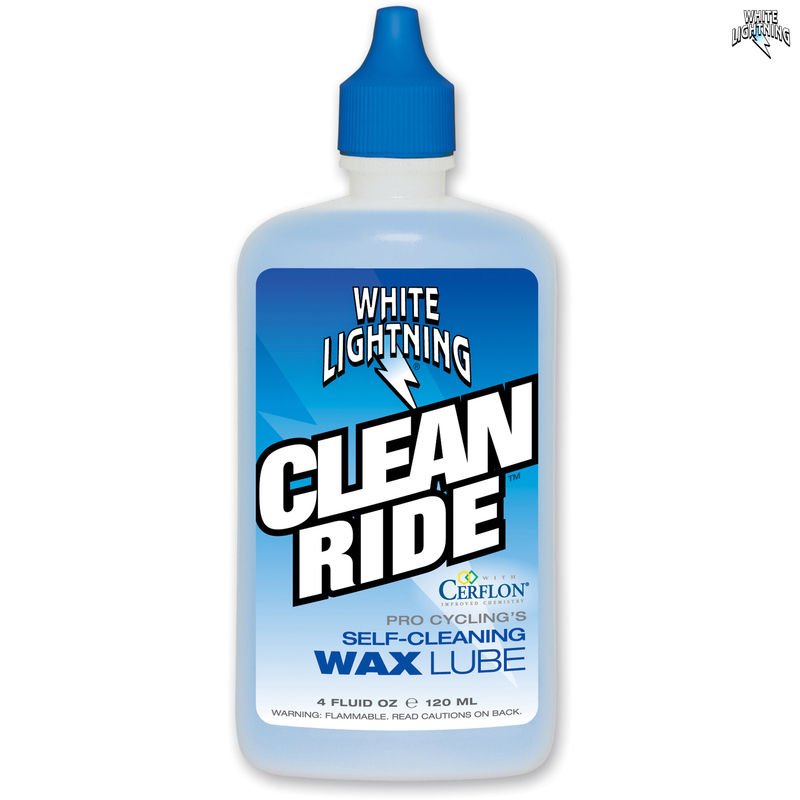 Revolutionary White Lightning original lube is a dry, wax lubricant with a no build up formaulation, and an amazing self clean action. Any dirt landing on the drivetrain simply falls back off again, attached to a flake of lube. Original moves around the chain, constantly recoating any unprotected areas. Ridden about 500 miles so far using it, hasn't needed topping up, chain is still clean and quiet. If this performance is maintained, if only for a month at a time (about 1000 miles) it's more than worthwhile. So far, recommendable.